The Habibi table and tray is reminiscent of ornately detailed oriental tea services. 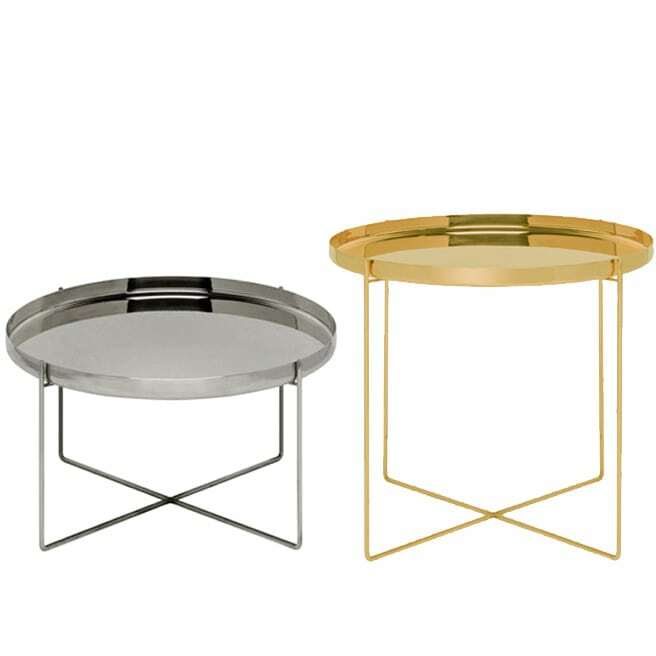 Habibi is available in polished brass, copper and stainless steel as well as in black or white powder-coated aluminium and can be ordered as the here offered coffee table, as smaller side table or as single tray. Each HABIBI tray or table is entirely unique, handmade and truly valuable, spun and polished by hand. Untreated by chemicals, natural oxidation processes create a beautiful patina over time, unless interrupted by applying conventional metal polishes. Do you have a question about "Habibi (Ø 57cm)"? How can we contact you?